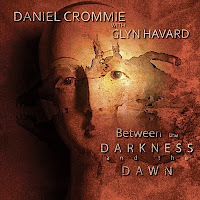 Daniel Crommie's Blogosphere: Daniel Crommie with Glyn Havard "Between the Darkness and the Dawn"
Daniel Crommie with Glyn Havard "Between the Darkness and the Dawn"
Daniel Crommie's collaboration with Glyn Havard "Between the Darkness and the Dawn" is completed. Ten compositions: six songs and four instrumentals that feature both Glyn's and Daniel's lyrics and vocals and include musical contributions from Jon Miller (guitars), Larold Will (theremin), Michael Maldonado and Paul Evans (saxophones), Brian Davis (bull roarer), Paul Parker (fretless bass & guitar), Bo Parker (tongue drums) and Leslie Gray (violas). Glyn also plays bass and electric guitar while Daniel played flutes, synthesizers, dulcimers and created the rhythm beds. This album is available for download at iTunes, Amazon and all the usual online vendors, while the CD was released on June 15th with one extra track. Order it from Amazon or order it from CD Baby. 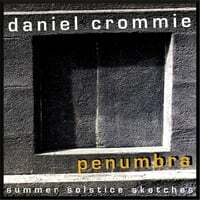 Review of Daniel Crommie's "Life Rattle"